The smaller object in these two photos is a brown dwarf that orbits the star Gliese 229. Some scientists think our sun could have a similar brown dwarf companion called Nemesis. 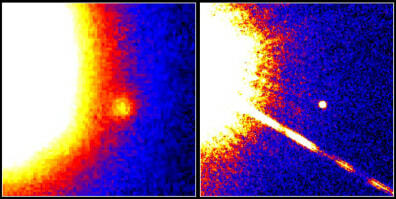 Image at left from Palomar Observatory, at right from Hubble Space Telescope.